IT'S HERE! 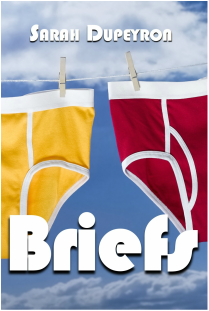 I'm happy to announce my latest publication, a collection of 18 short stories called Briefs. These are stories I've written over the last five years and range from a variety of different genres. Ellie Fox, quirky pilot, mechanical genius, and drug smuggler, never thinks ahead to the consequences of her actions. When er boyfriend, Max, asks her to “play a Game,” his term for one of his crazy criminal ideas, Ellie agrees and the two of them wind up on the hit list of a Japanese crime lord. On the run for their lives from their disaster in Montreal, the two lovers must find a way to outwit their formidable opponent. Will they live to regret playing such a dangerous Game? Buy it from Amazon here in Print or on Kindle. Read the review from Kirkus Magazine! That's right, my next book is called Don't Kill Norman. 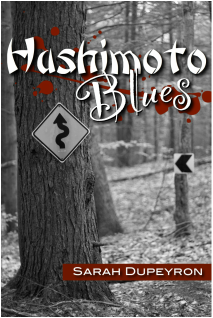 It's a sequel to Hashimoto Blues and picks up where the last one left off. I've got a long way to go before I have a working draft but the words are flowing and the story line is emerging. Ellie's about to find herself in trouble once again, this time in a more exotic locale. Periodically, I'll be posting short stories here, swapping them out when I have a new one to share. The current featured story is Larry's Bagel.